I tend to get big ideas… very big ideas. It makes me nervous just putting this out there, because this is one of those ideas that seems impossible. And, maybe it is. Then again, maybe it’s not. But, nonetheless, here it is. We’re going to be working our way through all the countries of the world through books and art projects. Wow! I get very comfortable sitting in my corner of the world. Here in the US, it can be very hard to experience the world by travelling. Because of that, I’ve so often seen people block it out and dismiss it as unimportant. Even our schools often do a poor job educating our kids about the world. Luckily, I was always fascinated by world cultures. I was the kid who checked out all those countries of the world books at my local library. I loved them. And, that interest has never gone away. I hope to encourage my girls to learn about world cultures too. We’ve tried foods, read books, and made crafts. We’ve done the things outlined in this post: 10 Ways to Explore the World Without Leaving Home. And so far so good. Their interest has been sparked. They know there is a whole big world outside of our small town and they want to learn about it. I’ve been thinking about this idea for several months now. I’m a loyal reader of Global Table Adventures where they cooked their way through every country in the world alphabetically. It is such an amazing adventure and I’m sure we’ll be cooking up some of their recipes to supplement our own personal adventure. As much as I love and admire this concept, I wanted to do something different, something that was more “us”. I’ll be borrowing the alphabetical concept, but instead of food, we’ll be making art. 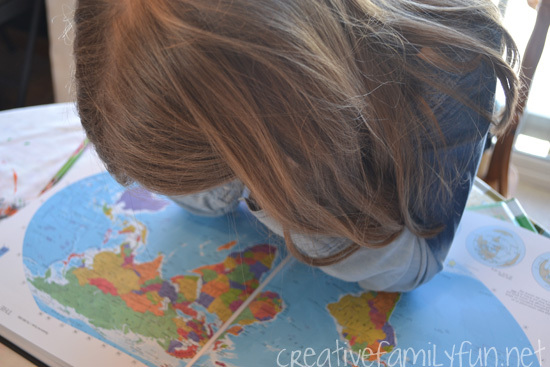 I want to do at least one art project for each country and I’ll share them here at Creative Family Fun. The projects will be geared towards elementary-aged kids, since that is the age my girls are now. Sometimes we’ll take our inspiration from folk art and sometimes from historical places. Other times, we’ll be inspired by unique architecture or a famous sculpture. No matter what, it will be something that connects us to that part of the world. I also plan on sharing book recommendations for most, but not all, of the countries. I already know that there will be some countries that we won’t be able to find books about, though goodness knows I’ve tried. (Have you ever tried looking for a book about Andorra?) And for others, there will be many books to choose from. I’ll be sharing books for all ages, even adults, since I plan on stretching my own comfort zone in my book choices. Our cornerstone book for the project is our Oxford Atlas of the World, which is an amazing resource. When I asked the girls if they were interested in this project, they got so excited. I was so happy to see their enthusiasm and hope it sticks around. We don’t have a set timeline as I have no desire to make this project stressful. What I do hope by doing this is to mold a couple of global citizens, help them discover the amazing diversity of the world, and to increase my own knowledge of the world. 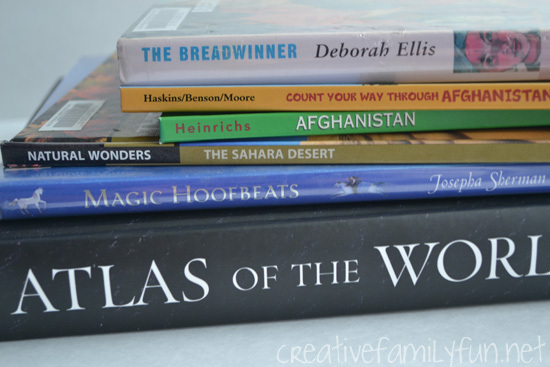 I also hope to inspire you and your kids to explore the world through art & books. 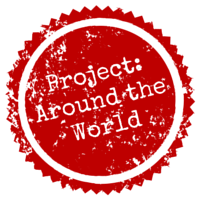 In addition to sharing here on the blog, I’ll also be sharing on Instagram with the hashtag #projectaroundtheworld. You can follow my account here. 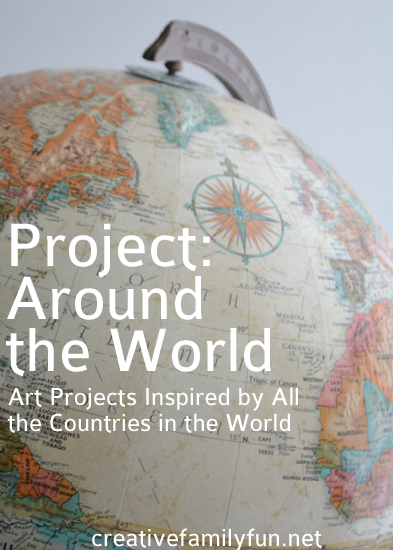 Whenever you want to join in, feel free to share your projects with #projectaroundtheworld. I’d love to see them. Thank you for joining us on this jouney! Click here to check out all the posts in this series.